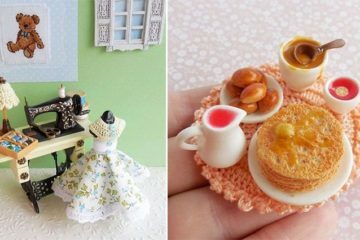 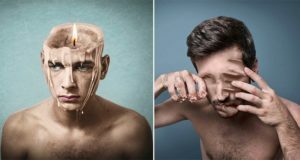 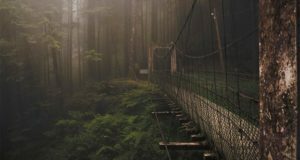 There are those among us who think of the past as the golden years, when everything was better than it is today, and people mostly spent time drinking malts at the shake shop or skipping around fields of hay. 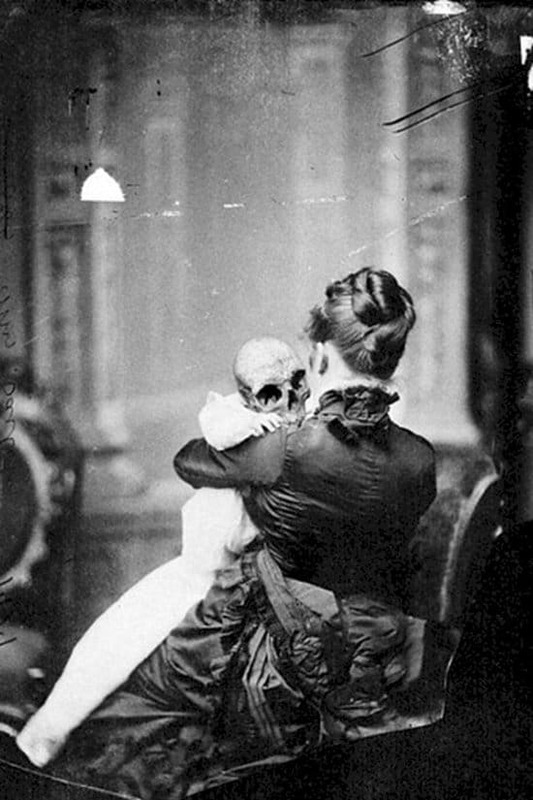 However, we’re here to tell you that there were plenty of things in the past that were super creepy, and we’ve got the photos to prove it. 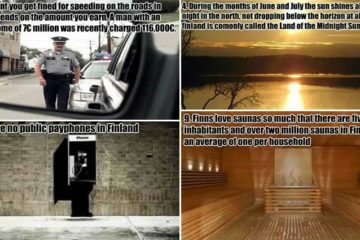 If these 13 scary snaps don’t give you nightmares, then you’ve got a stronger constitution than we do. 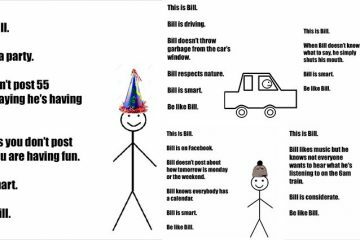 In fact, we’ll be sleeping with the lights on for days! 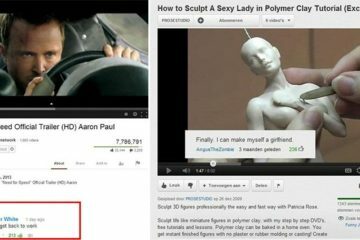 Take a look and freak yourself out! 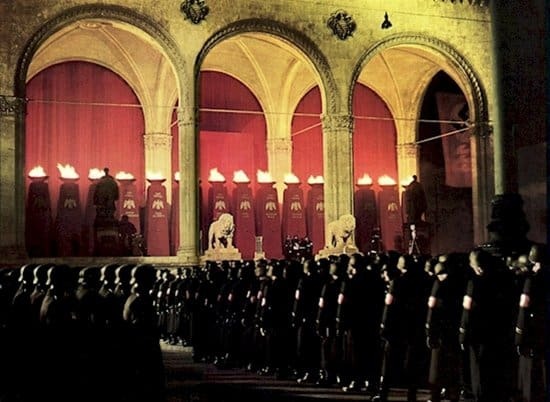 An initiation of new members of the SS in Nazi Germany, 1938. 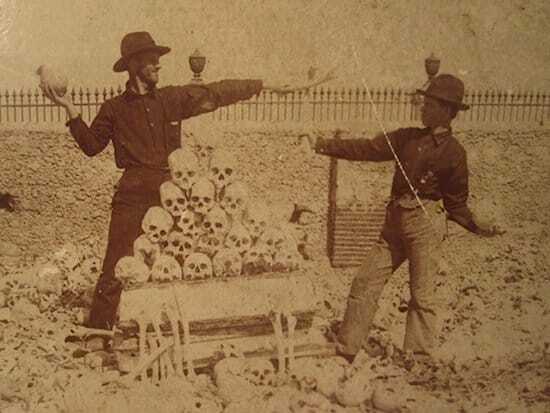 Two American soldiers play with bones in a Cuban mass grave, around 1900. 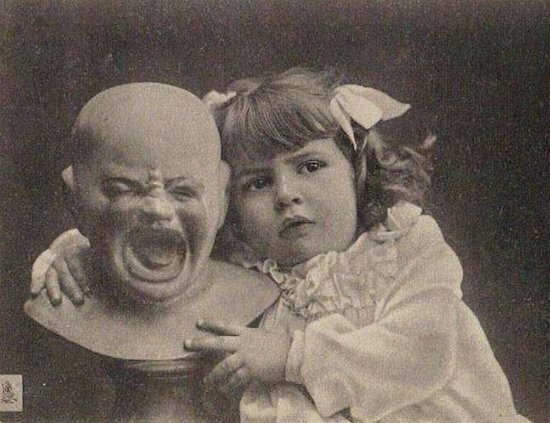 This creepy pair are props from a play performed at the Théâtre du Grand-Guignol, in Paris. 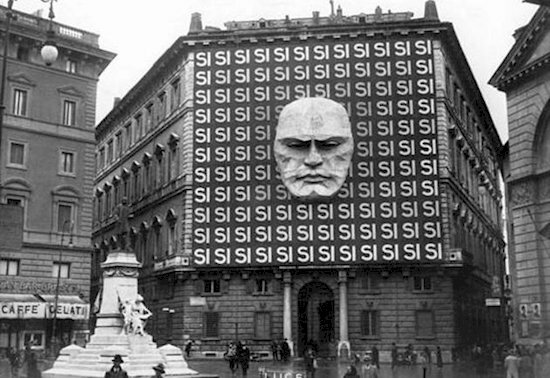 ‘Mussolini’ and the ‘Fascist’ party’s terrifying headquarters in Milan, Italy! 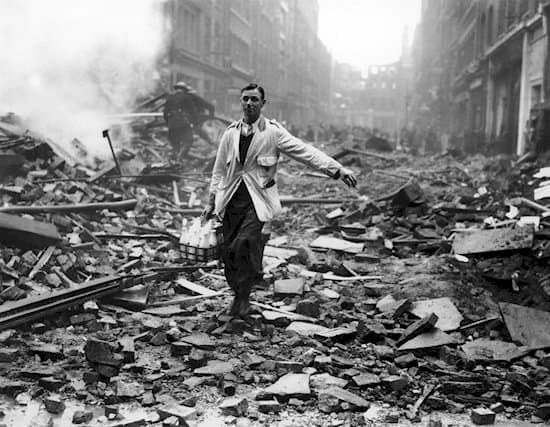 A man appearing to keep calm and carry on delivering milk during the WWII Blitz on London, but actually this photo was staged. 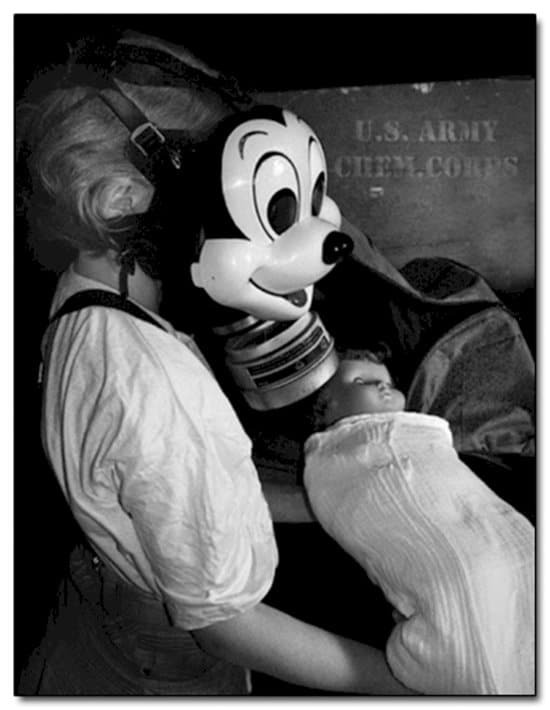 ‘Mickey Mouse’ gas mask for kids. 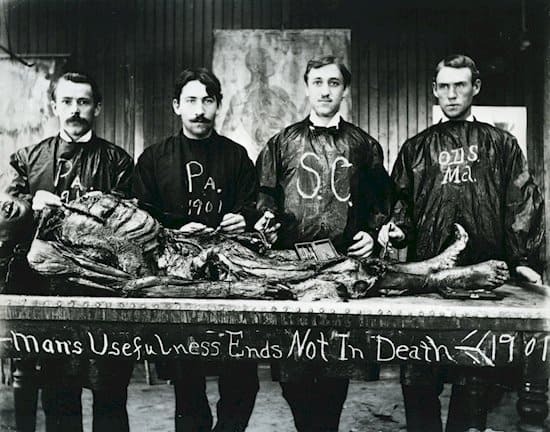 Medical students posing with a cadaver! 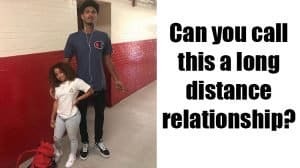 This child is right to look that confused! 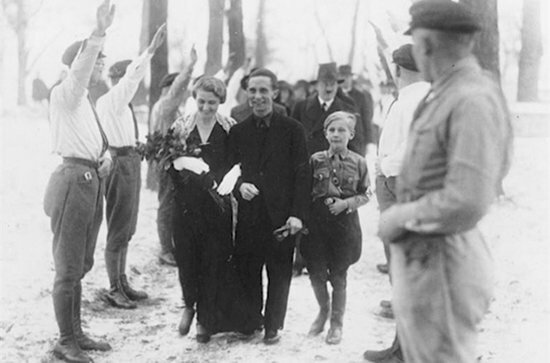 Hitler appearing as best man at Joseph Goebbels’ wedding. 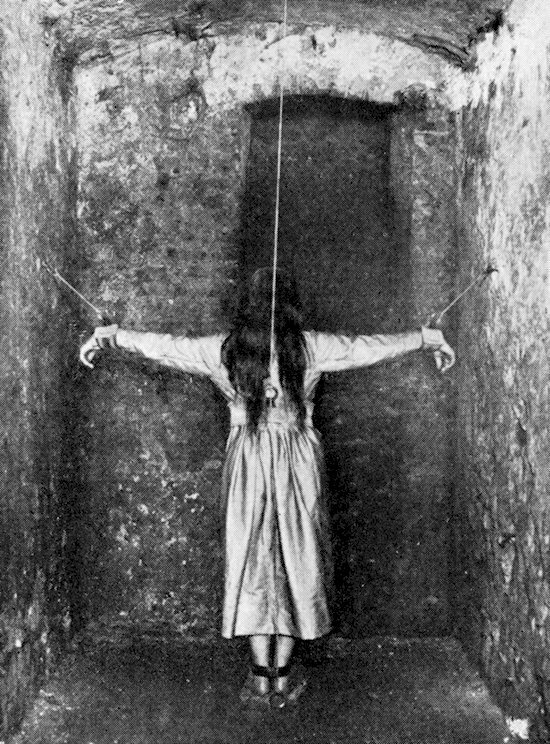 A patient receiving ‘treatment’ at a Victorian insane asylum. 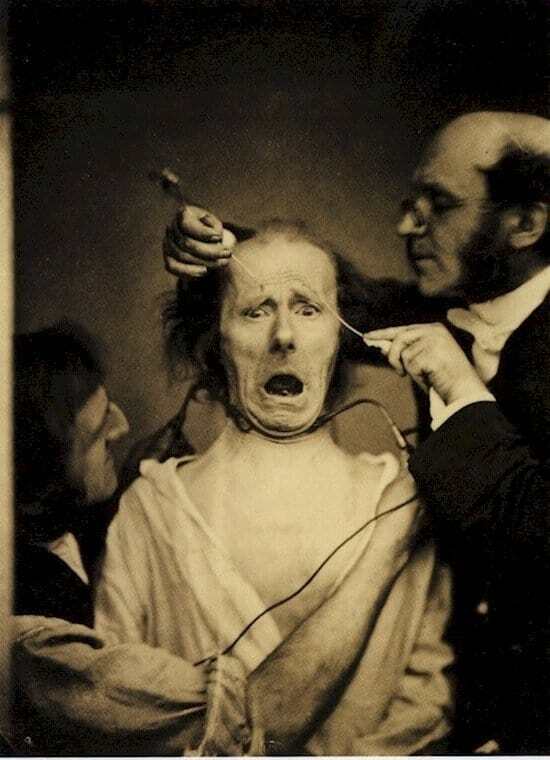 Guillaume Duchenne, a neurologist, using electricity on a patient to study facial expressions! 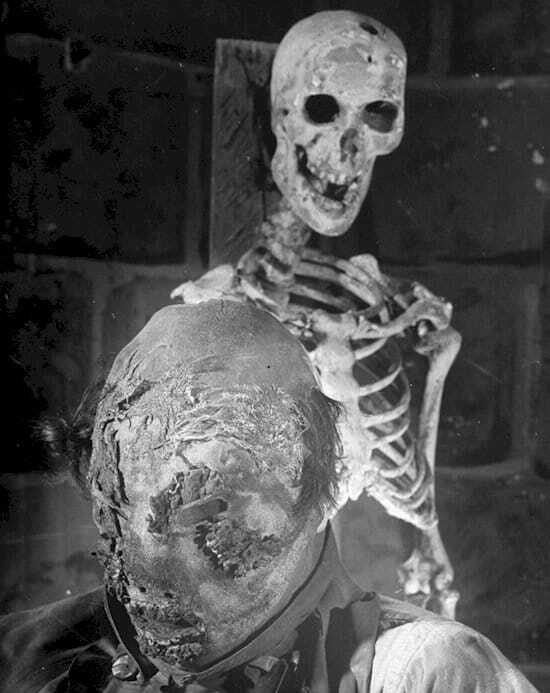 A Native American man curing a human corpse, as part of a ritual to be initiated into the ‘Hamatsa’ secret society.